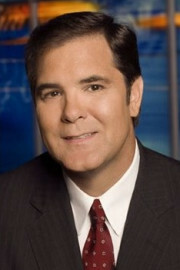 Greg Hunter does a news wrap-up every Friday. It takes him all week to compile and analyze dozens of news stories he finds online and in local and national newspapers. Greg covers what he thinks are the most important stories of the week. They come from around the country or around the world, from Main Street to Wall Street, America to China and Europe to the Middle East. Everything important is on the radar of the Weekly News Wrap-Up. Don’t expect to find entertainment news here. The biggest sin the mainstream media (MSM) commits every week is the lie of omission. Sometimes it’s not what the MSM tells you that is important, but what it leaves out. Greg Hunter fills in the blanks. The USAWatchdog.com motto is “Analyzing the news to give you a clear picture of what is really going on.” This section exposes the truths you need to make good life decisions. The Weekly News Wrap-up on USAWatchdog.com exposes the lies of Wall Street and the hypocrisy of our politicians. Please also visit our accompanying weekly news wrap-ups YouTube playlist. By Greg Hunter’s USAWatchdog.com (WNW 371 2.15.19) The bill being sent to the President was touted as some sort of breakthrough by key Republican negotiators, but it was more of a capitulation than anything else. Hope Trump does not sign it. By Greg Hunter’s USAWatchdog.com (WNW 368 1.25.19) NY Governor Cuomo signed a law that legalized abortion until the day of birth. Liberals celebrated, but many swear to fight this new abortion law right up to the Supreme Court.